JOHN SHERMAN wrote for Extra Crispy that people get very particular about their maple syrup, particularly people from North America’s so-called “Maple Belt,” a region of northern New England and southeastern Canada known for maple syrup production. Unfortunately for syrup obsessives, at least one study has suggested that milder winters may affect the maple syrup supply in coming years, at least in the Maple Belt’s southern reaches, both in terms of the quantity and quality of syrup produced. Fans of Mrs. Butterworth’s and Aunt Jemima can rest easy, but maple purists may be in for a tough couple years. 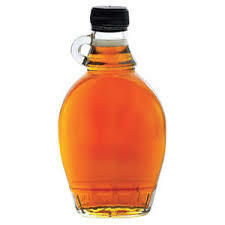 One of the effects of a changing climate seems to be a shorter supply of light, “fancy” maple syrup, once known as Grade A Light Amber and Grade A Golden Amber, and now designated as “Grade A Golden Color, Delicate Taste” and “Grade A Golden Color, Rich Taste,” respectively. We may all soon be dousing our waffles in Grade B (Grade A Dark Color, Robust Taste), or paying extra for the primo Golden Amber, but [cue infomercial voiceover] there has to be a better way. As it turns out, maple trees aren’t the only trees that can be tapped for syrup, but for whatever reason when we say “syrup” we almost always mean maple. And when we say “maple,” we almost always mean sugar maple. But sugar maple is just one of many varieties of maple trees that can be tapped to make syrup, including black maple and red maple, as well as at least a half-dozen other maples you’ve never heard of, like silver maple, Norway maple, canyon maple, and Rocky Mountain maple. Other tree species can be tapped as well, but you won’t likely find their syrups at the store. The basic process of making syrup, or “sugaring,” involves boiling tree sap to evaporate its water content, creating a concentrated, sugary syrup. The greater the sugar content in raw sap (typically between 2 percent and 5 percent for a sugar maple), the smaller the quantity of sap required to create a saleable quantity of syrup. A “sugar bush” is a term for a maple forest tapped for syrup production. The sugar maple has become the default sugaring tree as much for the flavor of its syrup as for the favorable economics of making it. Indigenous people across North America were sugaring long before European colonists reached the continent, and except for technological streamlining, the process remains much the same as it was a few hundred years ago. The naturally high sap content of sugar maples makes them optimal for tapping and sugaring, but they’re not the only tap in town. Several species of birch trees can be tapped to create a savory syrup used for flavoring birch beer. It’s more commonly produced in far-north regions like Alaska and parts of Russia, at higher latitudes than sugar maples can live comfortably. Whatever arguments there are to be made about sweet vs. savory syrup, maples tend to be hardier trees than birches, with longer life spans in temperate regions. A sugar maple can live for 300 to 400 years in the right conditions, compared to around 30 to 100 for a paper birch. Most sugar maples will outlive their sugarers, which is a hell of a business model. But in an era when mezcal is for normies, and even the casual weeknight chef thinks nothing of whipping up a quick tahini, why does the average grocery store syrup shelf remain so uninspired? Anyone with about $15 and an internet connection now has the ability to sip birch syrup or sycamore syrup or white walnut syrup to their heart’s content, but how many among us even know the world of syrup at our syrup-sticky fingertips? Certainly, part of the problem with nonstandard syrups is that syrup is not hugely applicable. We like it on waffles and Monte Cristo sandwiches, or on baked oatmeal, and what we want is exactly the flavor of maple syrup. Just as hazelnut coffee is not coffee—in the sense that it’s an option, but not what someone means when they say “I would like a coffee”—sycamore and walnut syrup have some pretty specialized shoes to fill. And yet look how far hazelnut coffee has come: Every gas station in America threatens weary travelers with the possibility of accidentally pouring themselves 12 lukewarm ounces of flavored coffee. Why shouldn’t savory birch syrup be afforded the same opportunity for sabotage, lying in wait in the fridge door for an unsuspecting houseguest. It’s not likely Mrs. Butterworth’s will offer birch facsimile any time soon, but since when has mass appeal been a selling point for gourmet tastes? Go forth, be bold, syrup differently. best of Extra Crispy straight to you.